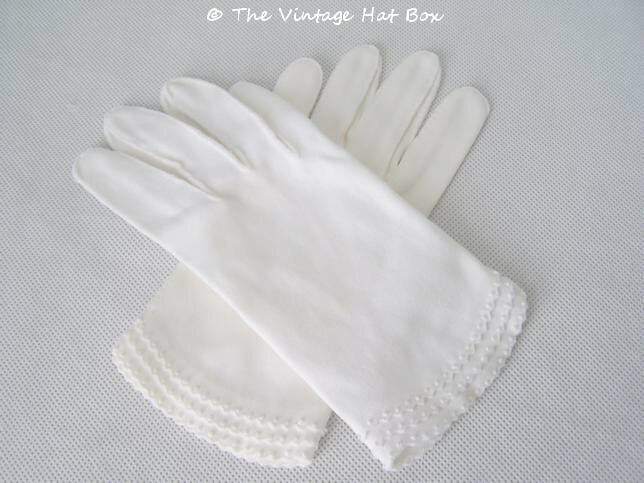 Vintage 1940's hand-stitched short white gloves with charming hand knotted tiered cuffs in very good condition. No labels or tags. 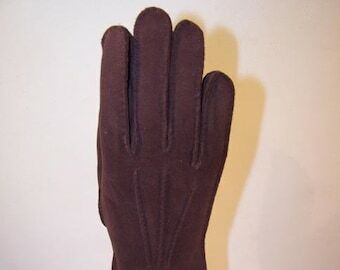 Has a tiny, pin-size spot on inside of left glove. See photos. Approximately a size 7. 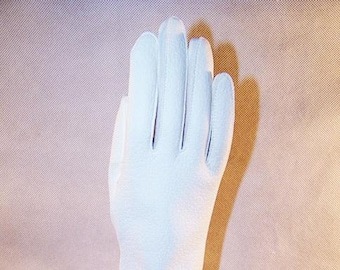 These are good quality gloves with lots of life left. L = 8 1/4 inches (21 cm).